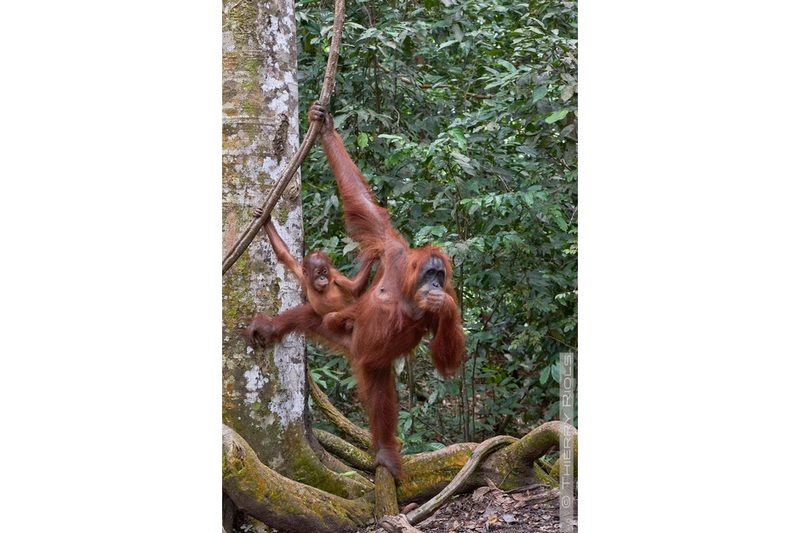 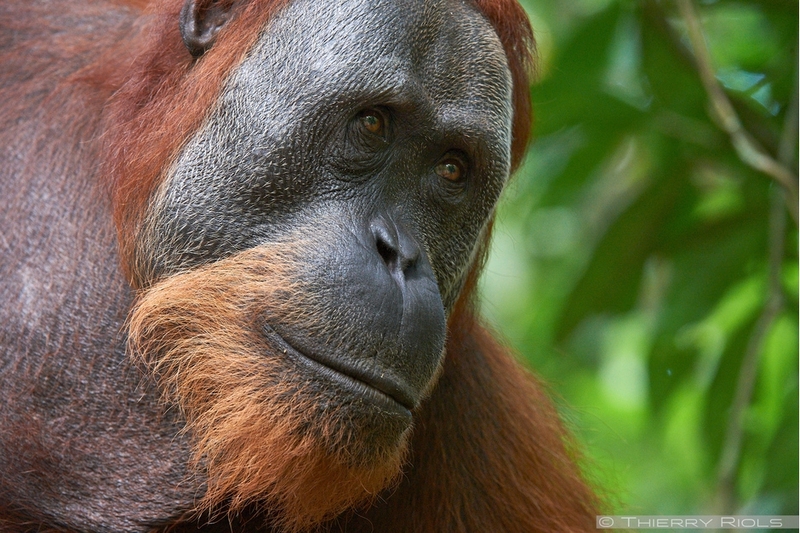 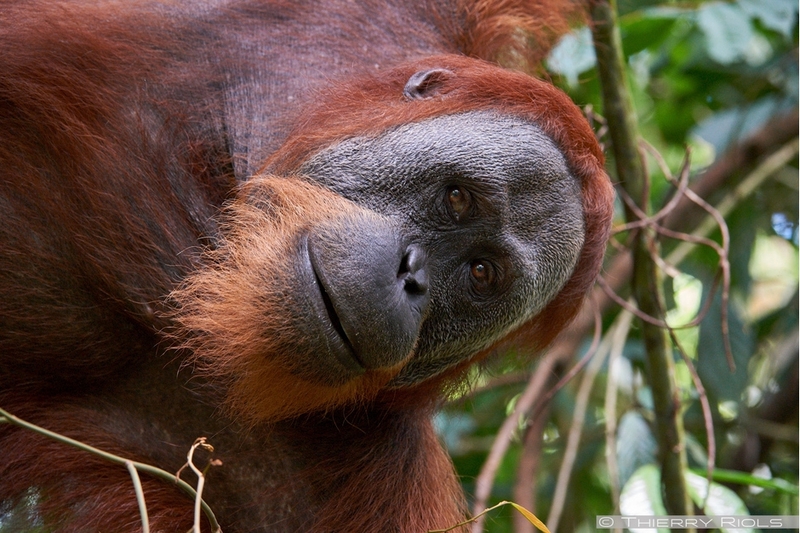 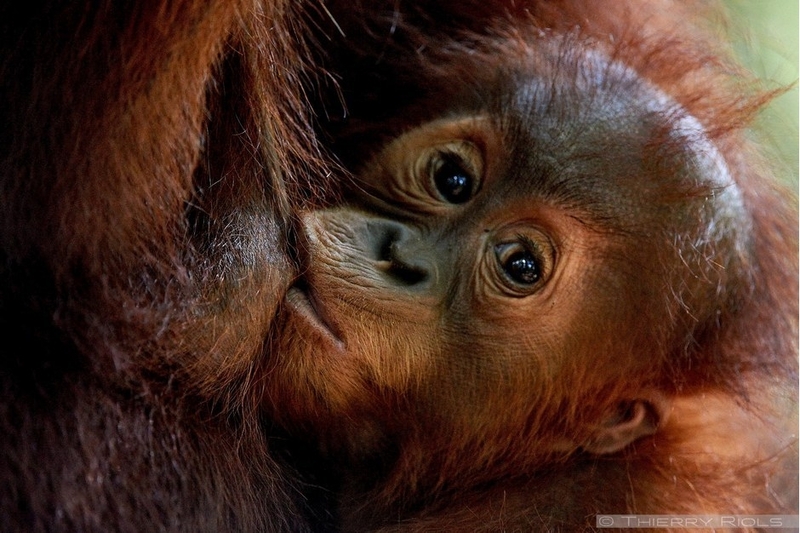 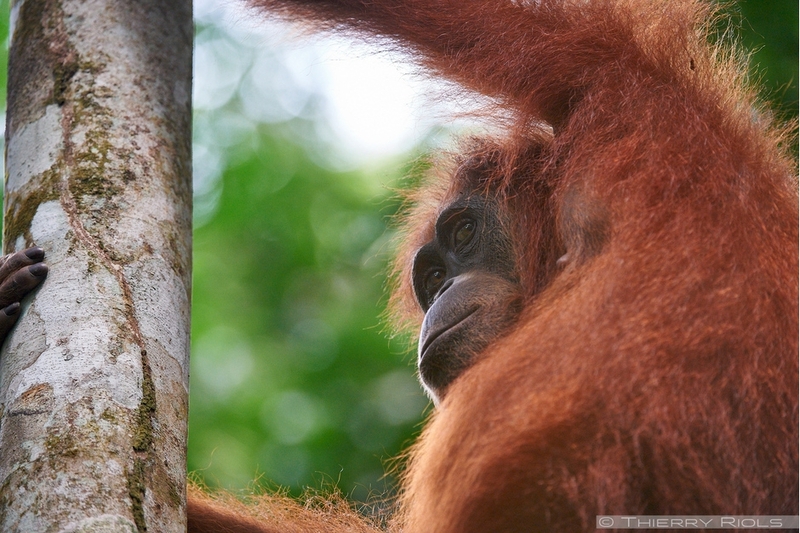 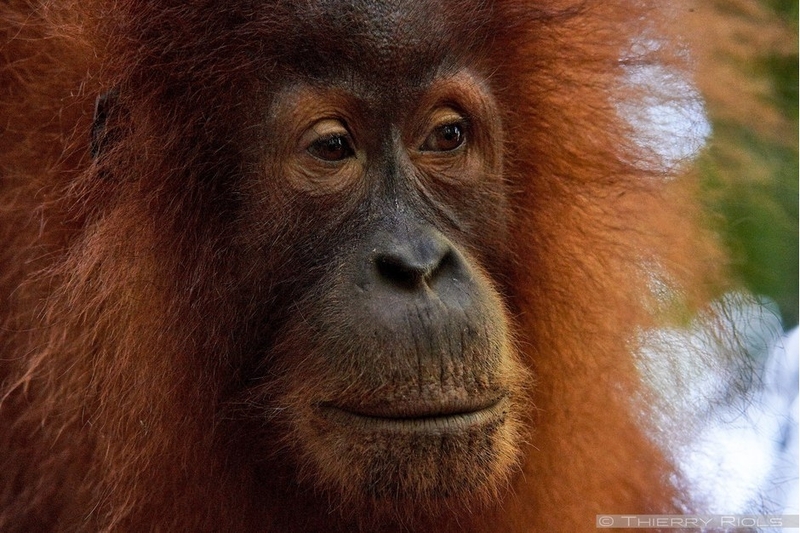 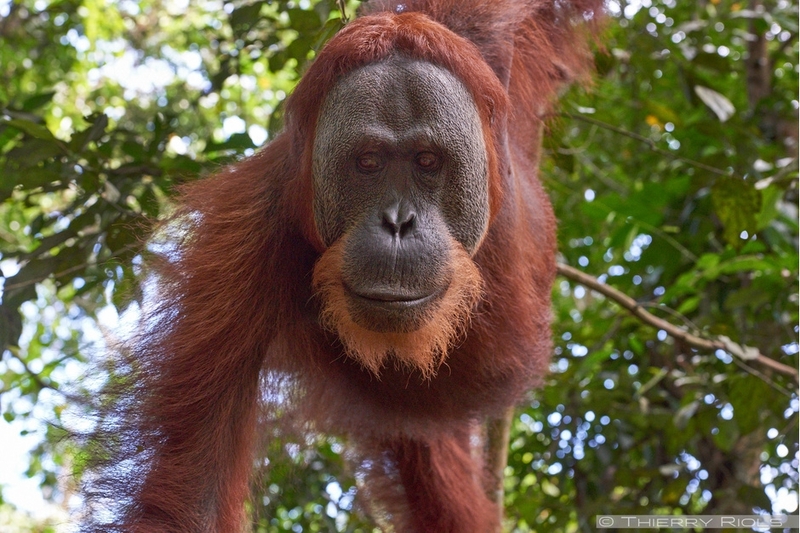 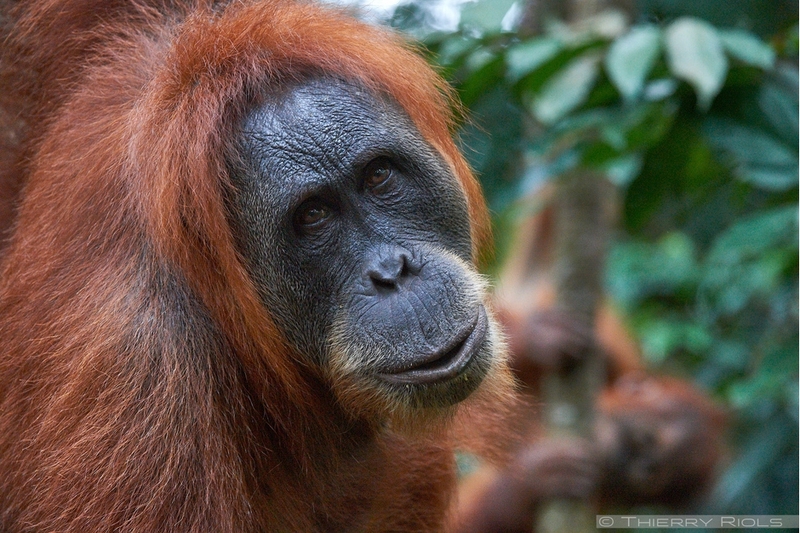 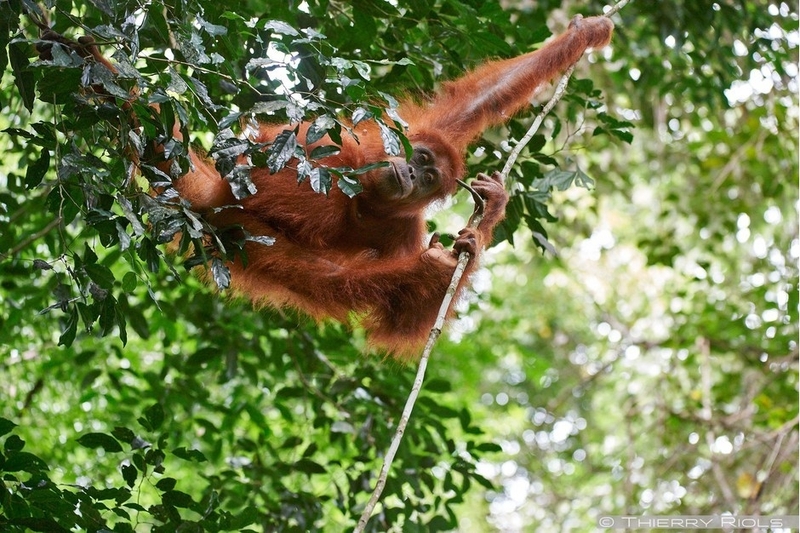 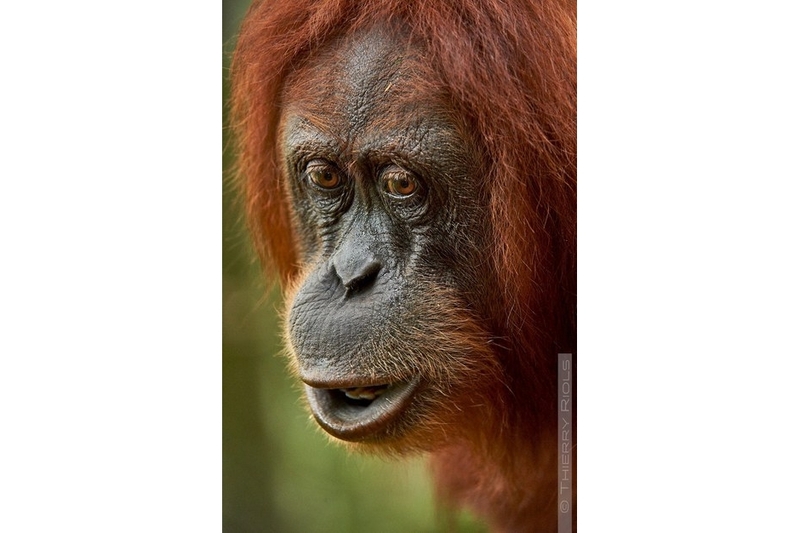 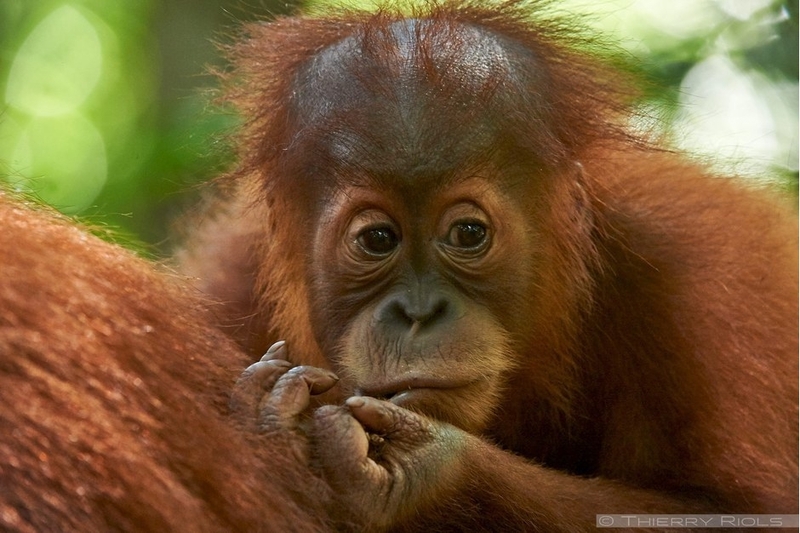 The Sumatran Orangutan - Pongo abelii- is one of two species of orangutan with that of Borneo. 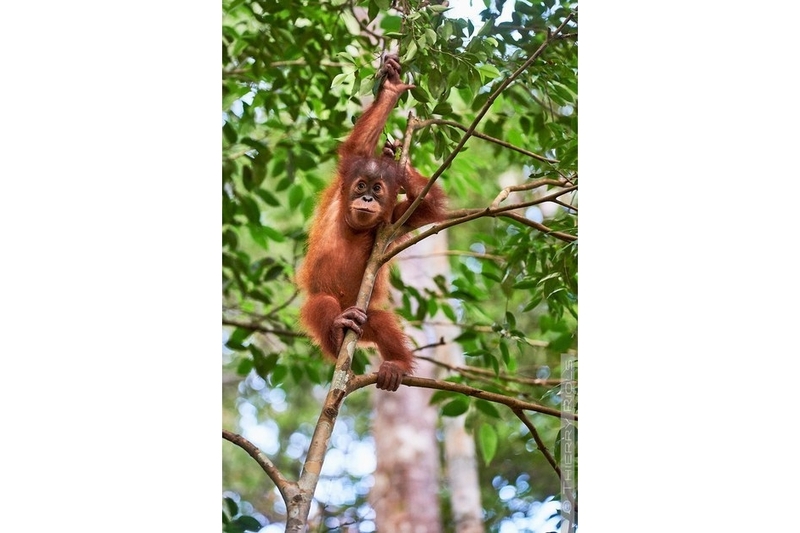 Smaller than the latter with a size of about 1.40 m and 90 kg for males it is mainly arboreal and food of jackfruit and fig fruit, sometimes insects. 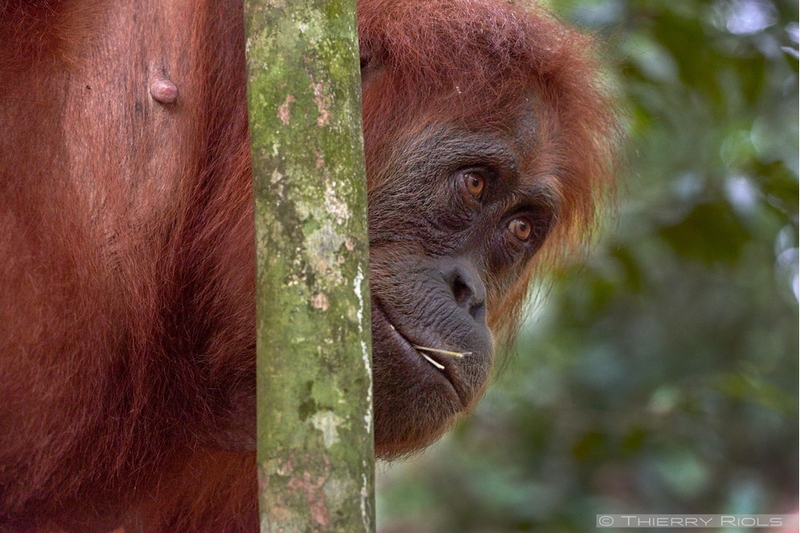 Very clever, it can use a stick to get termites in a tree hollow or honey. 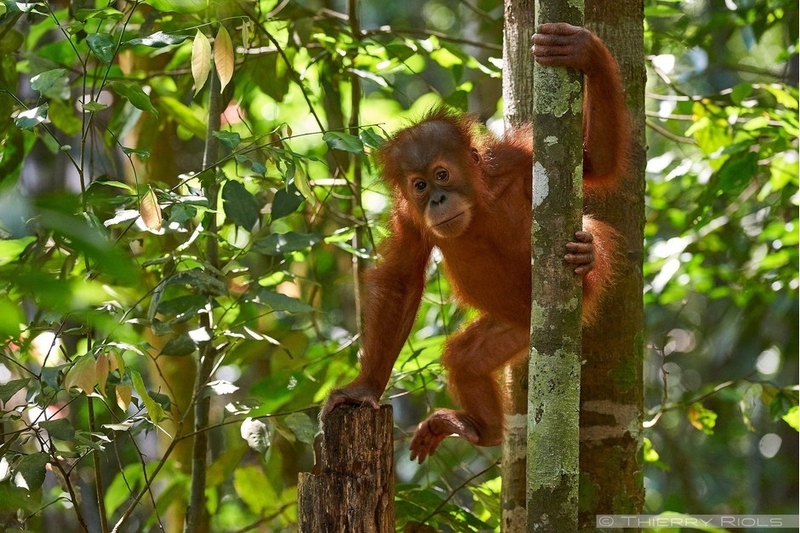 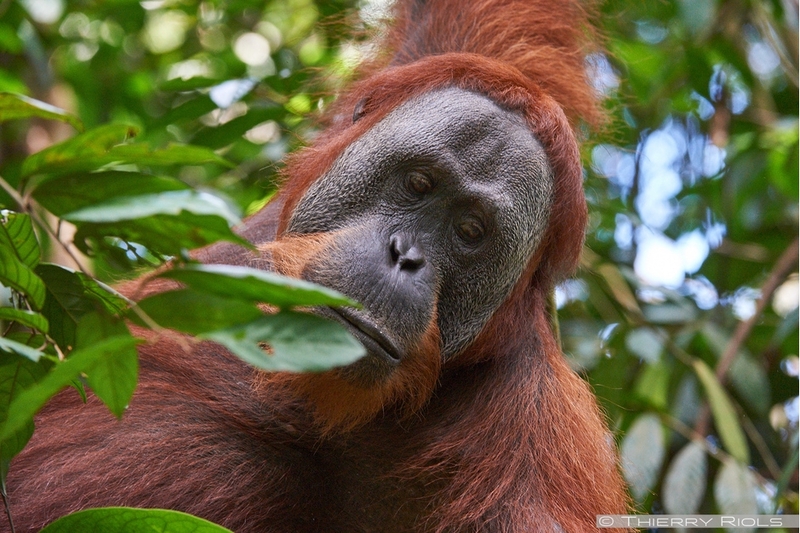 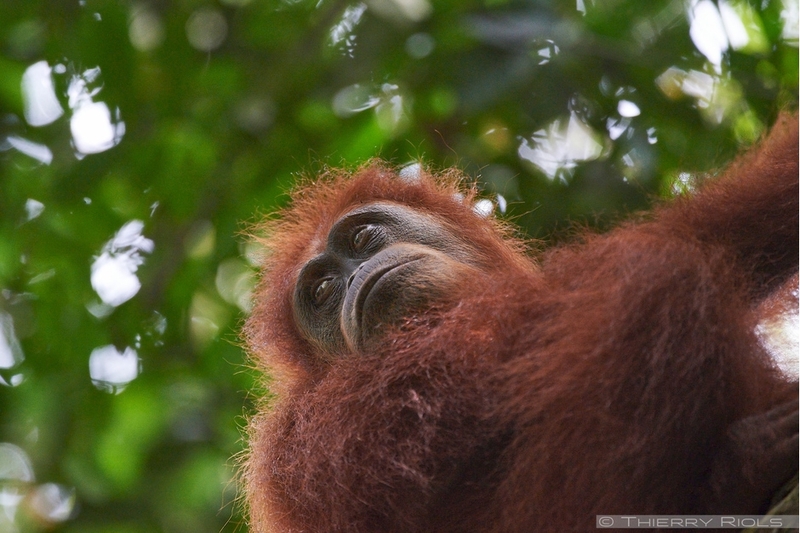 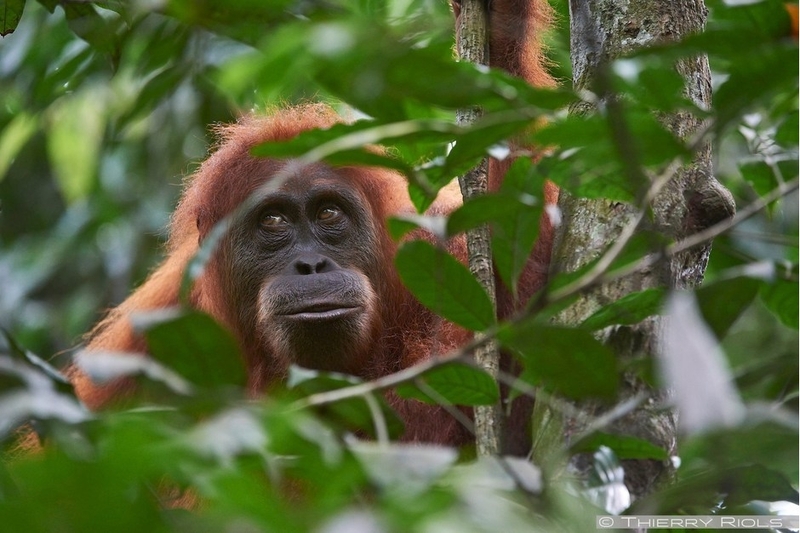 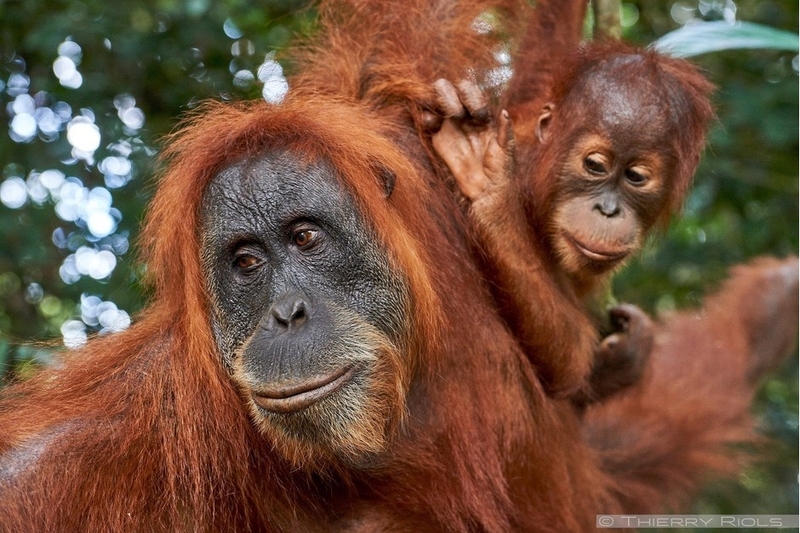 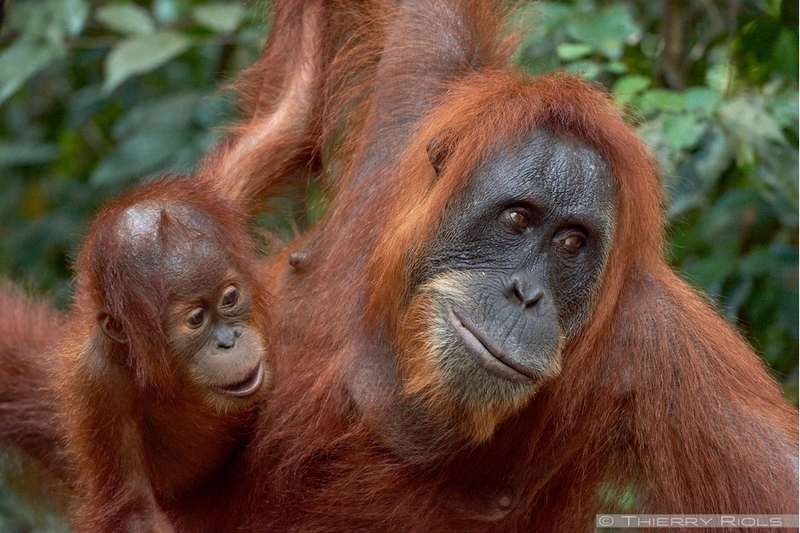 The orangutan of Sumatra is critically endangered due to loss of habitat caused by deforestation of primary forests for the cultivation of oil palm, exploitation of wood, mining, and also poaching.